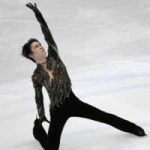 MOSCOW–Even though he was not at his best, two-time Olympic champion Yuzuru Hanyu gritted his way through an injury to easily win the Russian round of the Grand Prix figure skating series on Nov. 17. The 23-year-old fell hard in attempting to land a quad loop during the morning practice session, aggravating a previous injury to his right ankle that he suffered about a year ago. Still, Hanyu took the ice in a dramatic free skate finale that brought thunderous applause and cheers from the crowd at the end. 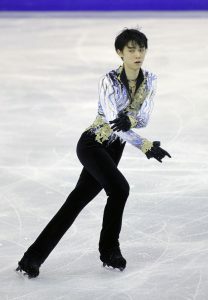 “You did hold out,” Hanyu recalled telling himself after his finish at a news conference where he appeared on a crutch.